Not rated. On DVD 5/21. Ok for kids 7+. 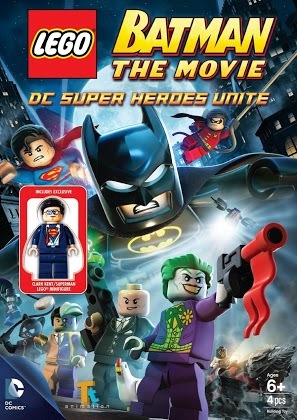 I love that LEGO has created a whole other alternate universe to the alternate universe of DC Comics. In this movie, when Bruce Wayne (voiced by Troy Baker) receives the man of the year award, fellow billionaire Lex Luthor (Clancy Brown) becomes jealous and decides to run for President. To create an atmosphere of fear-based politics, Lex recruits the Joker (Christopher Corey Smith) to perfect a Black LEGO Destructor Ray which wreaks havoc on Gotham. As Lex destroys Batman's tech, Batman reluctantly turns to Superman (Travis Willingham) for help. Of course, it's all designed to sell LEGO toys, but the movies are still really fun.